Cloud migration is far from simple: Channel partners should consider the challenges of workload allocation, application design and system dependencies when pursuing projects. Cloud computing, especially public cloud, is gaining traction in the enterprise. While the potential long-term benefits are significant, corporations face a raft of hurdles as they adopt this new deployment model. They need help determining which workloads should move to the cloud, identifying system dependencies, retooling applications to take advantage of this model, putting processes in place to migrate information, testing these systems, and then actually porting the software -- all opportunities for resellers and other channel partners. The cloud adoption task typically starts with determining which workloads should run there. "We find that the hardest part of migrating to the cloud is making sure that it is the right place for the workload," said Juan Orlandini, chief architect at Datalink, an IT services provider based in Eden Prairie, Minn., that focuses on cloud IT transformation, next generation technology and security. New applications are the easiest fit for the cloud. They can be designed from the ground up to take advantage of the technology. But most organizations have systems that are already running and were not built for that model, so they need to determine if the cloud approach makes sense for them. A number of potential problems may arise for customers migrating to the cloud. Compliance issues play a role. Keeping information safe is difficult nowadays, with both applications and hackers' software becoming more sophisticated. In some cases, businesses feel more comfortable securing information in their own data centers rather than relying on other parties to do that work for them. Customer expectations are another problem. "Businesses are under pressure to change, so there can be a mad rush to the cloud without proper planning upfront," said David Lucky, director of product management at Datapipe, a managed service provider (MSP) based in Jersey City, N.J., whose cloud business has been growing about 20% per year. In some cases, the migration process and its challenges are trivialized, so executives think moving to the cloud requires simply pushing a few buttons. However, the process is much more complicated. Firms need to evaluate solution design. The older an application is, the more challenges it presents. In some cases, software does not scale well enough for the cloud. Legacy systems were built to work with a finite number of processors. Nowadays, software is based on more modular designs so expansion is simpler. Growing data volumes create problems. IDC expects worldwide data to reach 180 zettabytes (ZB) by 2025, up from 44 ZBs in 2020 and 10 ZBs in 2015. If companies have terabytes of information, the cloud may not be a good fit. As information bounces to and fro, the costs can rise. Vendors let enterprises put data into the cloud but charge them for taking it out. Application design presents other challenges. In recent years, the industry has moved to more modular and interconnected software. "In just about all cases, firms discover that their legacy application has unexpected dependencies on other systems," said Javed Sikander, CTO and vice president at NetEnrich, a company based in San Jose, Calif., that provides cloud migration and other services that channel partners can resell to their customers. Sometimes, deciphering the other applications' functionality is hard. Documentation may be sparse or nonexistent. Solutions rely on code written by IT professionals who no longer work for the company, so these organizations need help identifying how the application works and what changes need to be made to port it to the cloud. Channel partners have designed tools to help identify system design dependencies. Customers have different options for moving an application. The lift-and-shift model is the simplest. Here, the application is ported from the legacy system to the cloud without significant design changes. We find that the hardest part of migrating to the cloud is making sure that it is the right place for the workload. But this way of migrating to the cloud has flaws. Enterprises want to use the cloud's modern infrastructure to enhance operations, and this benefit is only possible if an application is revamped. Many firms alter their applications and streamline time-consuming, mundane infrastructure maintenance tasks such as allocating storage. For instance, Motus LLC sells a vehicle management and reimbursement platform to companies with employees that drive more than 5,000 business miles per year. The firm worked with Datapipe to move its legacy platform to Amazon Web Services (AWS), a change that decreased the time required to spin up new workloads by 20% to 30%. In these cases, enterprises work with APIs and often need a channel partner's help. Customers with legacy systems may lack the expertise needed to program cloud APIs, which have constantly been in flux. A few years ago, these connectors operated at a rudimentary level, so a lot of custom integration work was needed to sew different elements together. "Over time, the APIs have been codified, so connecting applications to the cloud has become simpler," Datapipe's Lucky explained. The network is the final piece of the migration puzzle. "Often, the network presents the biggest migration challenge," said Scott Mellegaard, director of cloud strategy at Trace3, an IT solutions provider based in Irvine, Calif. Businesses dramatically change their system configuration, which can create latency and response time issues. Public cloud vendors have worked with network service suppliers such as AT&T, CenturyLink, Comcast, Equinix, Level 3 and Verizon, to offer direct connections from their data centers to the customer's site. The major public cloud vendors offer tools to help companies sort through migration decisions. Microsoft's Azure Websites Migration Assistant produces reports that outline which application items are ready to move, elements that may need to be changed and unsupported features. In addition, the Microsoft tool creates any website and associated database automatically and synchronizes the customer's content to the cloud. The tools are constantly improving: AWS bolsters its systems about 10 times a day. But the tools are not a panacea. So, channel partners have developed their own solutions to augment the vendors' services. When migrating to the cloud, enterprises need to test the solution and ensure that it delivers the desired functionality. Third-party providers build tools for that purpose. Increasingly, partners are focusing on issues that companies running multiple cloud offerings face. 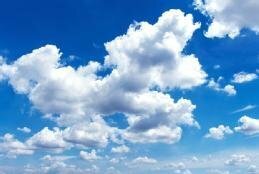 The number of enterprises with more than one cloud system grew from 24% to 58%, according to IDC. Created in 2002, Trace3 is a 400-employee company that focuses on enterprise solutions. The company has forged connections with Silicon Valley venture capital firms to help customers stay abreast of the latest technology trends. Datapipe, which has operated as an MSP for 15 years, runs 20 data centers and has agreements with public cloud service companies such as AWS, Microsoft Azure, and China's Alibaba. The reseller has 800 employees and 2,000 clients, including McDonald's, British Medical Journal and Zillow. Insight Enterprises, a Fortune 500 global IT provider, paid $258 million to acquire Datalink in January 2017. Datalink, which serves 21 countries across the globe, has more than 6,000 employees worldwide. The firm's Workload Alignment Services identifies customer workloads, their dependencies and performance characterizations. Founded in 2000, SADA Systems is a privately held cloud computing solutions and strategic IT services provider. The channel partner, which has 175 employees, works with leading cloud providers such as Google and Microsoft to support customers' cloud services. The firm offers custom application development, managed services and training. NetEnrich, which has 600 employees, began as an MSP and operates five data centers that stretch from San Jose to India. The firm supports AWS and Azure services in either public or hybrid deployments. Racemi, which has been in business for more than a decade and overseen 70,000 migrations, sells the DynaCenter migration tool. RiverMeadow Software Inc. developed a SaaS offering that focuses on workload testing and validation before migration cutovers. Cloudamize's analytics platform provides recommendations to speed up cloud migrations and lower costs. Virtustream's tools and services evaluate current workloads and design new system architectures during cloud migrations. While IT's focus is often on technical issues, "cultural hurdles create the biggest barriers," said Nicky Parseghian, practice director at SADA Systems, a cloud consulting firm based in Los Angeles. Managing a cloud-based infrastructure is sufficiently different from an on-premises environment, so the customer's staff will need to be trained well ahead of the migration. For years, the IT department has worked in a certain way, and now the processes of the businesses and the culture will need to be transformed. Often, the partner takes the lead at the start of the migration and gradually hands the work over to the IT team. Migrating to the cloud sounds easy, but the process is hard. Enterprises need help in many areas, offering many opportunities for channel partners. "Five years ago, we were the only firm in our space but today, lots of partners are helping enterprises move to the cloud," Datapipe's Lucky concluded. What do you see as the most difficult task of cloud migration? Your customers' cloud migrations can be fraught with challenges. This guide offers insight into developing business practices to help clients through complex migration processes. Cloud enablement companies, such as PlumChoice, BitTitan and NetEnrich, have emerged to help small channel firms provide the migration services their customers are asking for. A Google channel partner's cloud adoption project used migration as a springboard to modernize a customer's core application via multi-tenancy and containerization.